Blizzard Black Pearl 88 Skis - Women's: Developed from a more traditional hard snow and carved turn shape approach, the Women’s All-Mountain Freeride collection has specifically designed technology, constructions, sidecuts and rocker profiles that deliver a perfect all-mountain experience in all types of snow conditions. Carbon Flipcore W.S.D. Technology: A revolutionary rockered ski production process that incorporates a uni-directional carbon frame onto the core of the ski that results in great performance with a light and easy feel. W.S.D. Construction: W.S.D. woodcore with multidirectional fiberglass reinforced with carbon layers make the skis strong and light. W.S.D. Waist Width Concept: 78-88-98 mm. Dedicated W.S.D. waist width improves performance on front and backside. W.S.D. Shape Concept: Traditional wide frontside sidecut with effortless radius (14-15m @166cm). Forward mounting position for an easy turn initiation. Construction: Sandwich Compound Sidewall; Carbon Flipcore W.S.D. 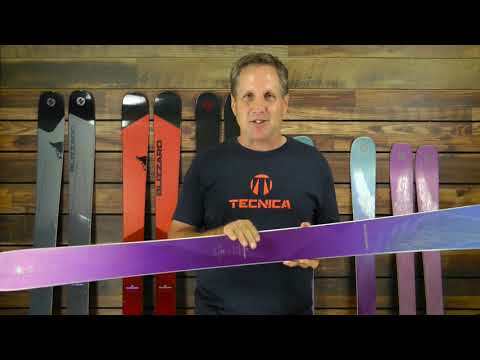 Last season Blizzard pulled off a coup that was, as far as this ski journalist is aware, a singular one in the annals of ski sales: a women’s ski, the Black Pearl, emerged as the top selling ski in the specialty channel. The reason the event was unprecedented is that women make up at best 40% of the new ski market. To be the number one ski means the Black Pearl had to dominate women’s sales. What voodoo did Blizzard do to make the Black Pearl so supernaturally successful?